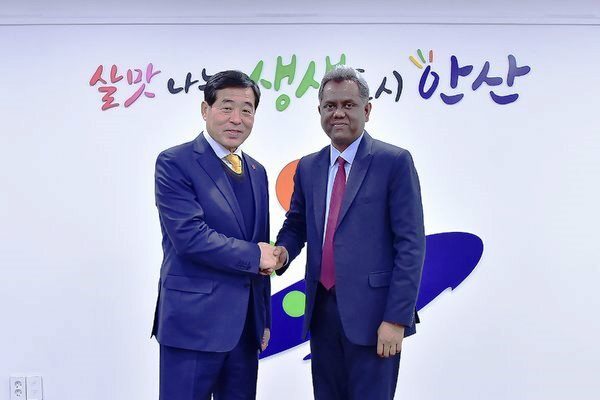 Chargé d'Affaires of the Embassy of Sri Lanka in the Republic of Korea Jagath Abeywarna met with the Mayor of Ansan City Yoon Wha-sub on 24 December 2018. Director General of the City Hall Lim Heung-sun and Counsellor of the Embassy Jagath Batugedara were also associated with the meeting. The meeting focused on cooperation between the Ansan City and Sri Lanka and the celebration of the 71st anniversary of Independence of Sri Lanka in the Ansan City (at Square Hotel) on 6 February 2019, with the participation of the Sri Lankan community in the Republic of Korea. 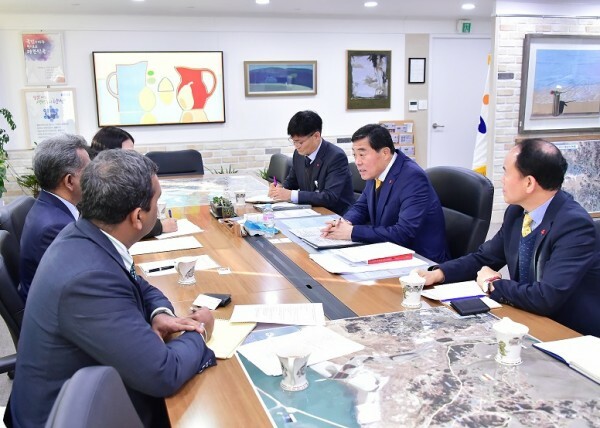 During the meeting, Mayor Yoon stated that he would extend the fullest support of the Ansan City Office to celebrate Sri Lanka’s Independence Day in Ansan. There are approximately 450 Sri Lankans living and working in the Ansan City while 3,500 Sri Lankans are around the Ansan City.